It’s the week-end and you know what that means! Yup, you guessed it, another “breakfast” recipe. 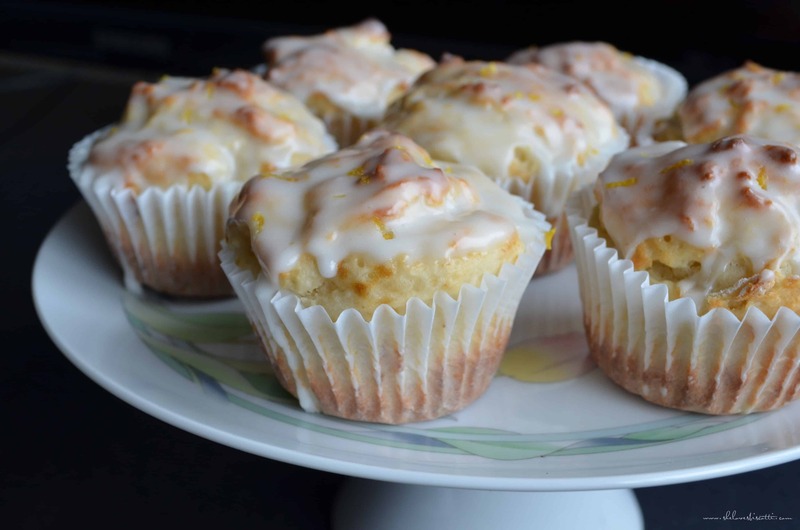 Today, I’d like to share with you a recipe for these very Lemony Greek Yogurt Muffins. 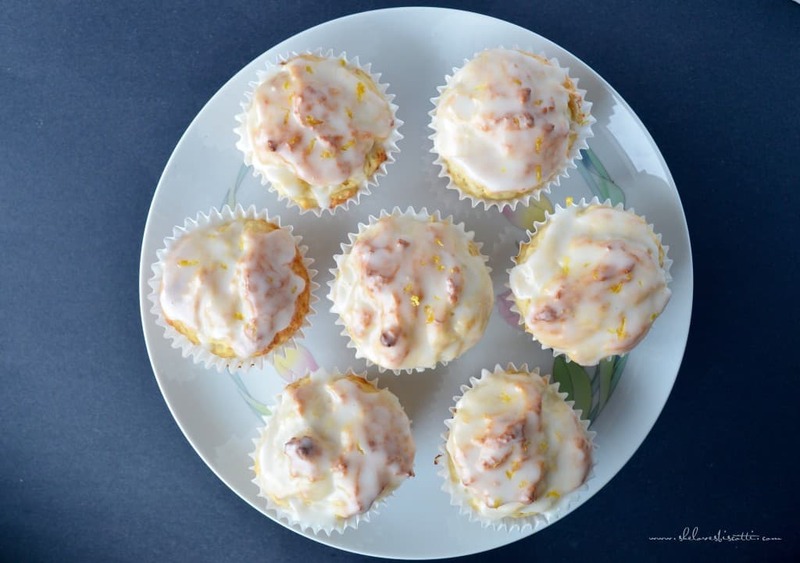 I heard the birds chirping this morning (finally, a little bit of co-ordination between the date on the calendar and the weather), and that put me in the mood to make something refreshing and light – like these Lemony Greek Yogurt Muffins. Breakfast is the most important meal of the day. The body needs some fuel in order to get going – especially kids and teenagers! Breakfast can improve their concentration in class. And for adults, it helps with overall weight maintenance. Since it’s so crucial, it might as well be delicious, right? And that’s where these muffins come into play. 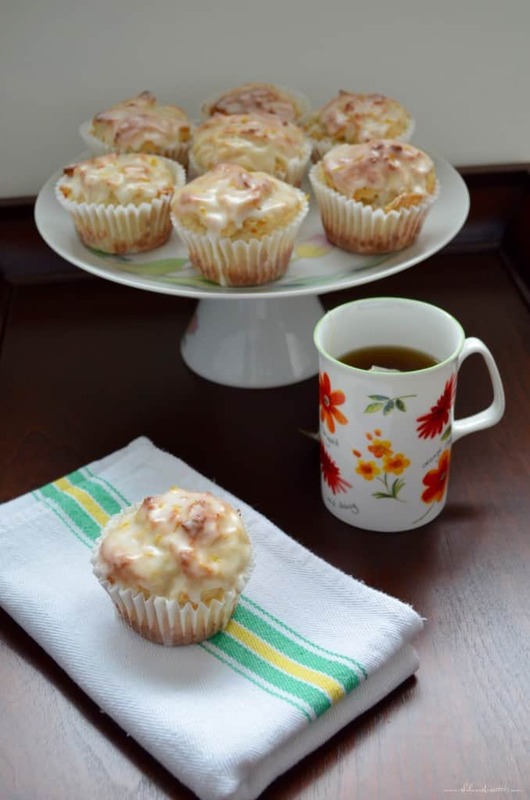 How do I love muffins, let me count the ways…there are so many reasons, really, especially if you’re making these Lemony Greek Yogurt Muffins. From start to finish they take under 20 minutes to prepare; they’re homemade so you know exactly what goes in them; they freeze wonderfully, making them the perfect grab and go breakfast; they’re economical; I could go on, but I think you get the picture! What’s there not to love? I’ve already shared with you muffin recipes that incorporated blueberries and oats, dates and bran, banana and chocolate chips, and apples. 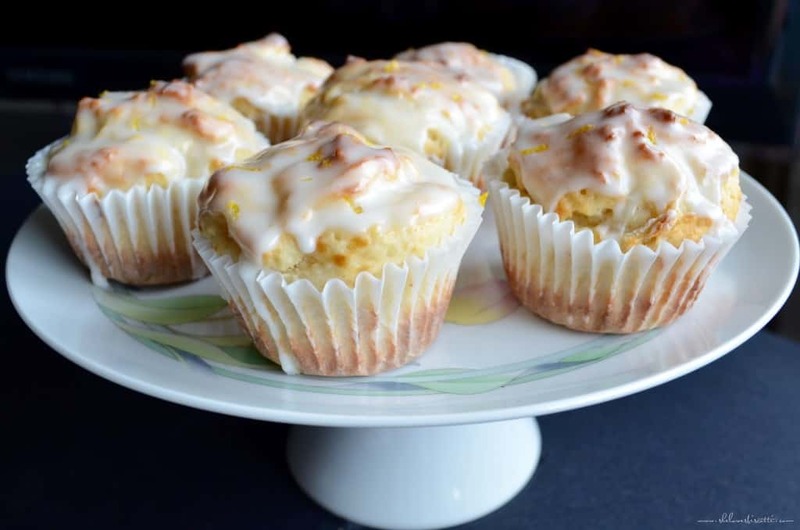 Today, I really wanted to share this recipe for Lemony Greek Yogurt Muffins, which I found on this terrific blog: www.macheesmo.com. I made a few modifications to the recipe. I substituted the butter with a vegetable oil (canola oil can also be used) and the granulated sugar with brown sugar. I also bumped up the lemon juice and zest (I’m a sucker for lemons). At the risk of sounding repetitive, make sure your oven is at the proper temperature and resist the temptation to use your stand mixer. It really is unnecessary. Two bowls, a whisk and a mixing spoon. That’s it. Once the mixture is combined, you’re done. Scoop it out and get ready to be amazed. Unfortunately, this is one recipe where the muffins stick to the paper liner (one of my pet peeves) so you can spray the paper liners with non-stick spray or ditch them altogether and spray your muffin pan directly instead. Either way, you need to spray. Oh, and if you like poppy seeds, like I do, you can absolutely throw in a couple of tablespoons in the batter. 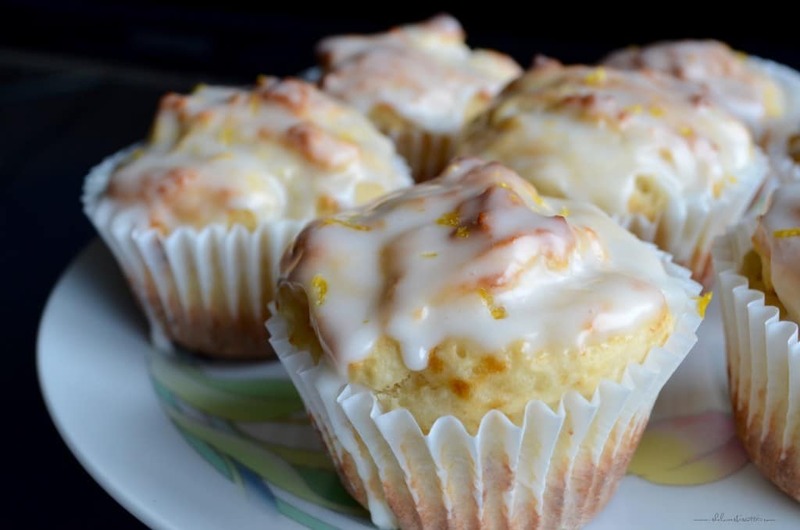 There are so many reasons to love muffins, especially if you’re making this recipe for these Lemony Greek Yogurt Muffins. Start counting… Hope you have a happy day! Preheat the oven to 400℉/200℃. Position rack to middle. Coat muffin tins (or paper liners) with non-stick spray. 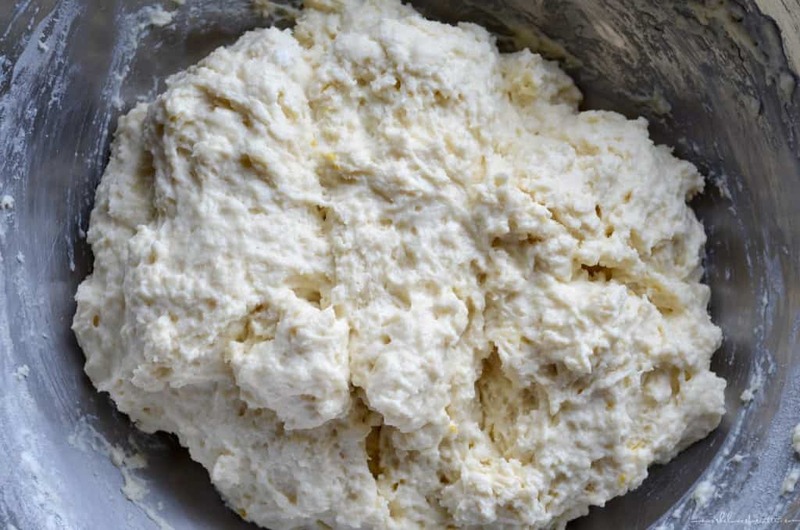 In a large mixing bowl, whisk together the flour, sugar, baking powder, baking soda, and salt for at least 20 seconds. Set aside. In a separate bowl. 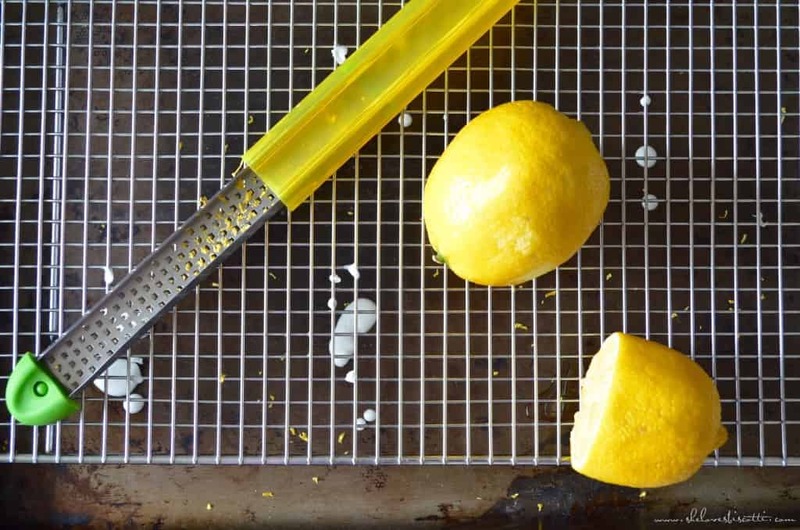 whisk together the egg, milk, oil, lemon zest, juice and extract. Whisk in the yogurt. Add wet mixture all at once to the dry ingredients. Stir with a wooden spoon until just moistened. Fill muffin liners 1/2- 3/4 full. Bake 20 - 25 minutes or until top bounces back when lightly touched. Optional: To make the lemon glaze, whisk together the juice of one lemon with about 1 1/2 cups of icing sugar to desired consistency. Drizzle over muffins just before serving. 2016.05.08 Recipe has been updated. LOVE THIS RECIPE? PIN IT TO YOUR MUFFIN BOARD! Such an amazing recipe. The muffins came out so fluffy. Never had so fluffy. Ever. And they were so easy to bake. Thanks, Maria. I like a dense muffin, and I’m going to try these with coconut oil. Looking forward to seeing how they are! I am sorry to hear that Lou. Appreciate your honesty. These came out terribly for me. The dough was almost like a biscuit dough and the muffins themselves are flavorless and dense. Maybe too much flour? Lauren, I am truly sorry to hear the muffins did not turn out for you. If no ingredient substitution was made, I would agree that it was probably too much flour. I have indicated a precise weight for the flour in the recipe. 2 cups is equivalent to 240 grams. It is a dense muffin, but definitely not biscuit like. Thanks for taking the time to comment. I am currently baking them. I substituted raw honey for the sugar. The batter tasted very bitter before I cooked them, so I’m assuming I did a bad job zesting the lemon ???? I will try to make them tonight! I made these muffins last weekend. They had a great rise and looked just as great as your photos. I wasn’t crazy about the olive oil flavor, though, and plan to re-try them with butter. I also think a bit more sugar might make them more tender- I didn’t over-mix or overbake, but they were a little tough. A great start for a beautiful muffin. Thank-you so much for your comment! Let me know how they turn out for you. I am so trying this! Anything with a Greek tinge I tend to love, mains and sweets! I couldn’t agree with you more! Enjoy!! Thanks for your comment. Not yet. Definitely on my to-do list. Thanks for your comment. 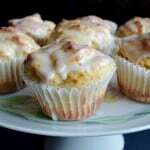 I would LOVE one of these muffins with a good cup of tea right now.. they look so flavoursome and delicious. I love all that glaze especially. Made two batches of this recipe this week-end…all gone! That’s when you know a recipe is a keeper. Thanks so much for your comment.